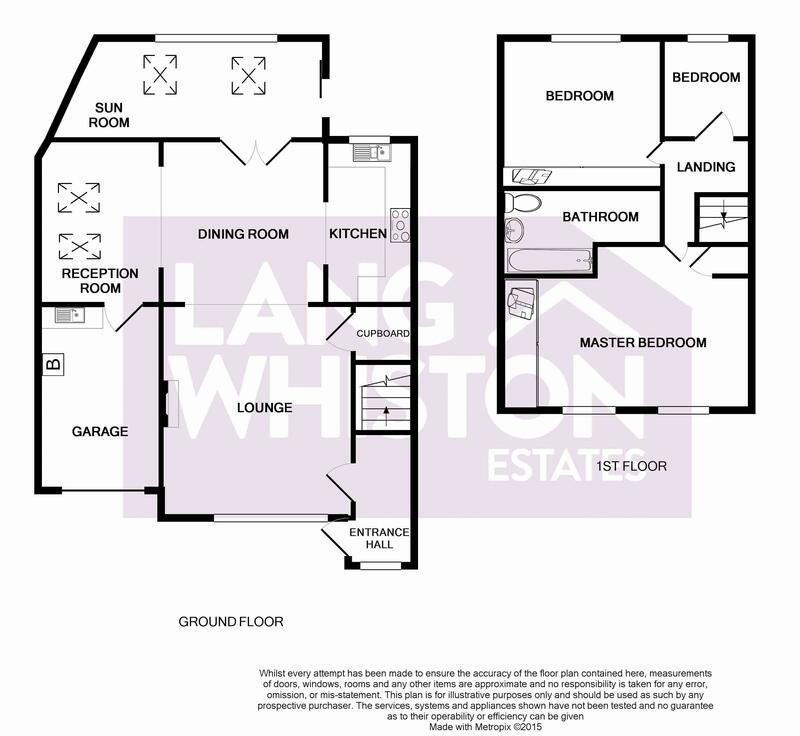 Lang-Whiston Estates are pleased to offer this well presented and tastefully decorated family home, located on a cul de sac positioned in Waterhead. 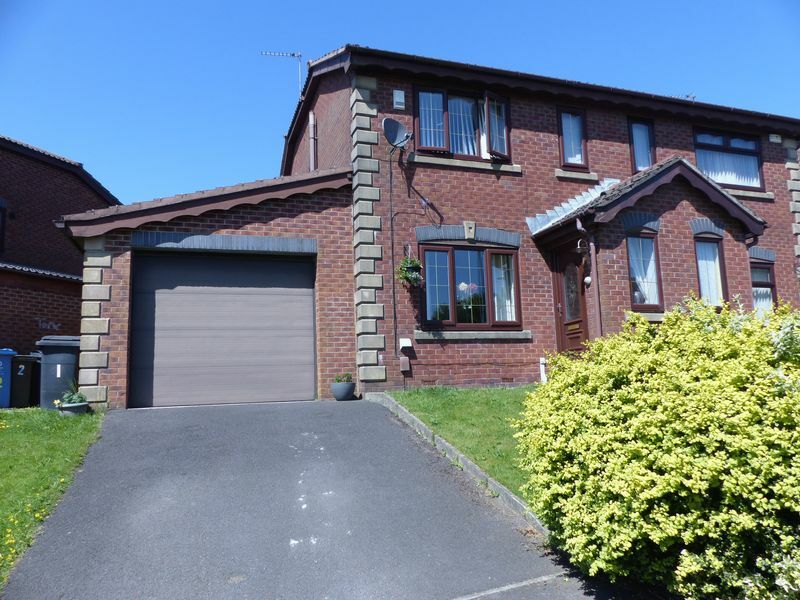 Close to Watersheddings Primary School, Blue Coat C Of E Secondary School, Waterhead Park plus Strinesdale Reservoir. 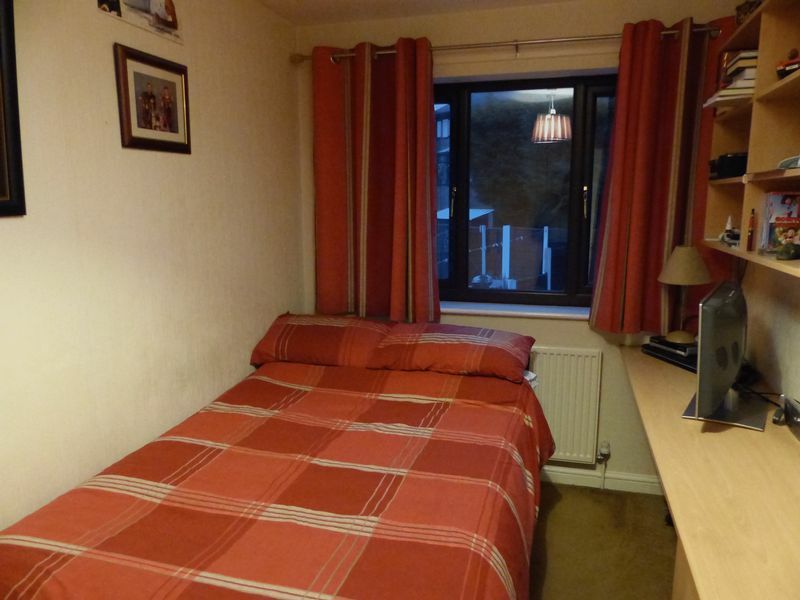 Close to the Metro Link and Manchester Motorway Networks. 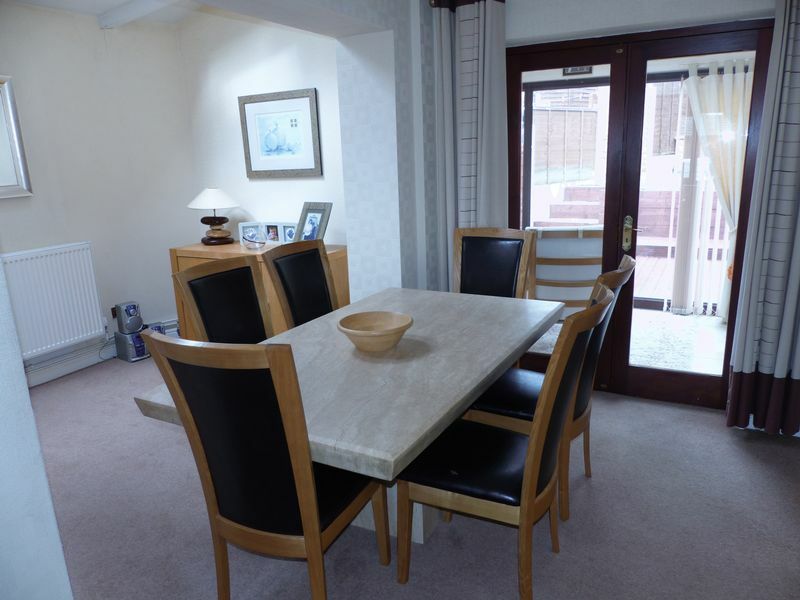 The property briefly comprises; entrance hallway, lounge, dining room, reception room, kitchen, sun room, integral garage to the ground floor. Stairs from the entrance hallway leading to the first floor landing, three bedrooms, family bathroom. Outside the property offers driveway, gardens to the front, side and rear. 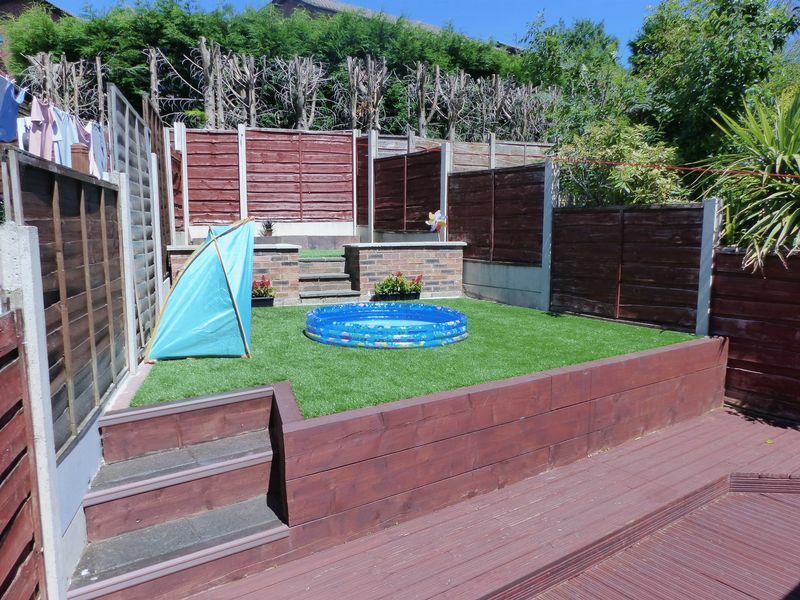 This is ideal for a GROWING FAMILY looking to settle in the area. Viewing is HIGHLY RECOMMENDED to appreciate what this property has to offer. uPVC wood effect double glazed leaded window and door, wood effect laminate flooring, fitted carpeted stairs leading to the first floor landing, fitted alarm system and radiator. 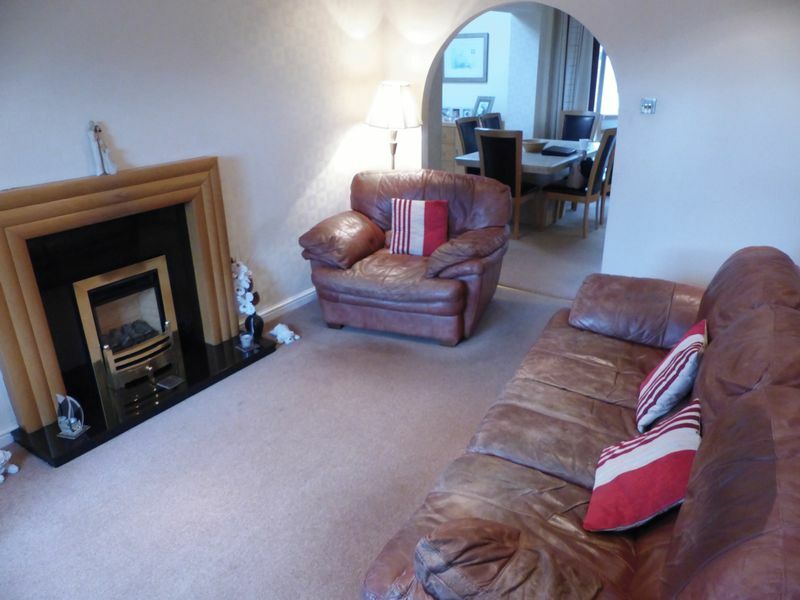 Spacious lounge with fitted carpeted flooring, dark marble fire place with living gas coal effect fire, uPVC leaded wood effect double glazed window positioned to the front of the property. 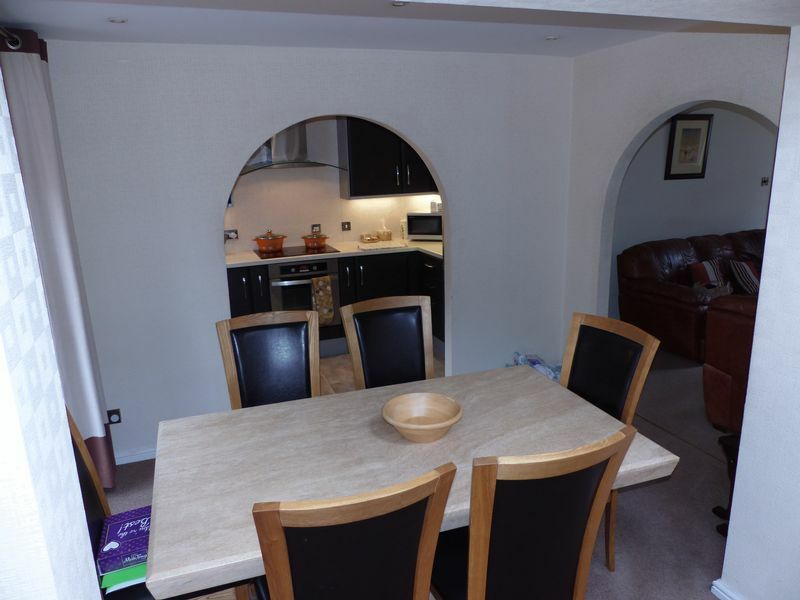 Cupboard to the under stairs plus archway to the dining room. 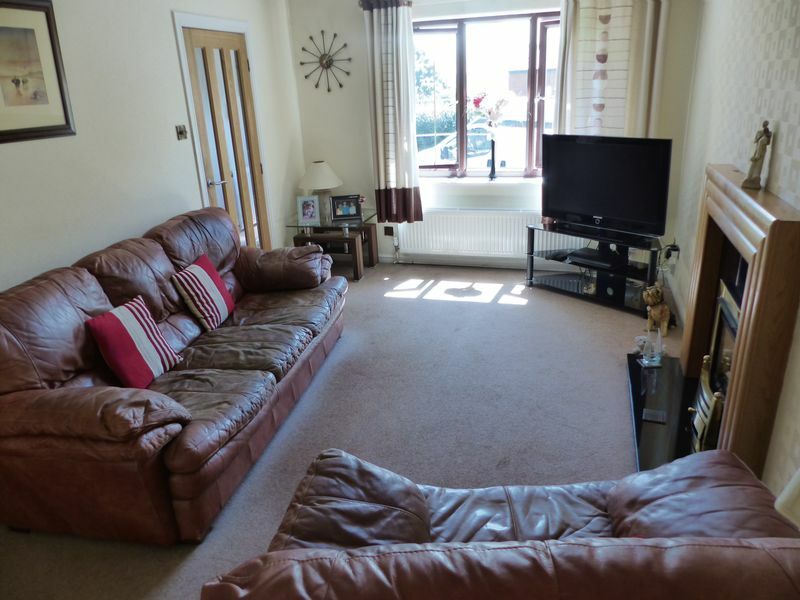 Fitted carpeted flooring with hardwood double doors with single glazed windows leading to the Sun Room, archway to the additional reception room, kitchen plus radiator. 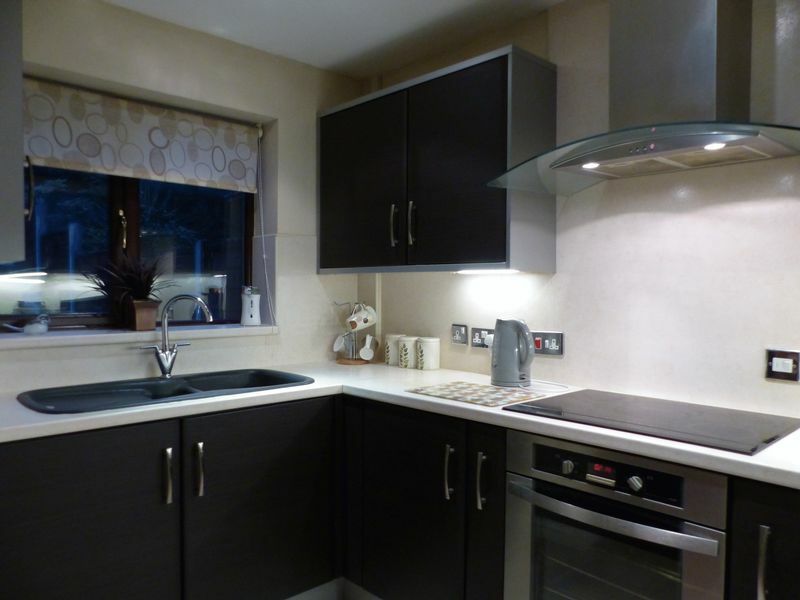 Modern style fitted kitchen with fitted wall and base units with coordinating cream worktops and cream splash back. 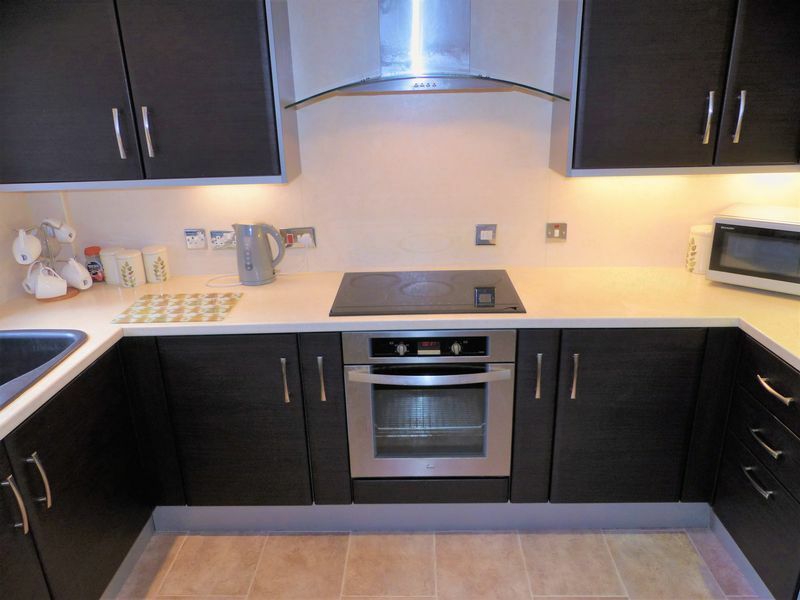 Touch electric 5 ring hob with stainless steel extractor fan over. 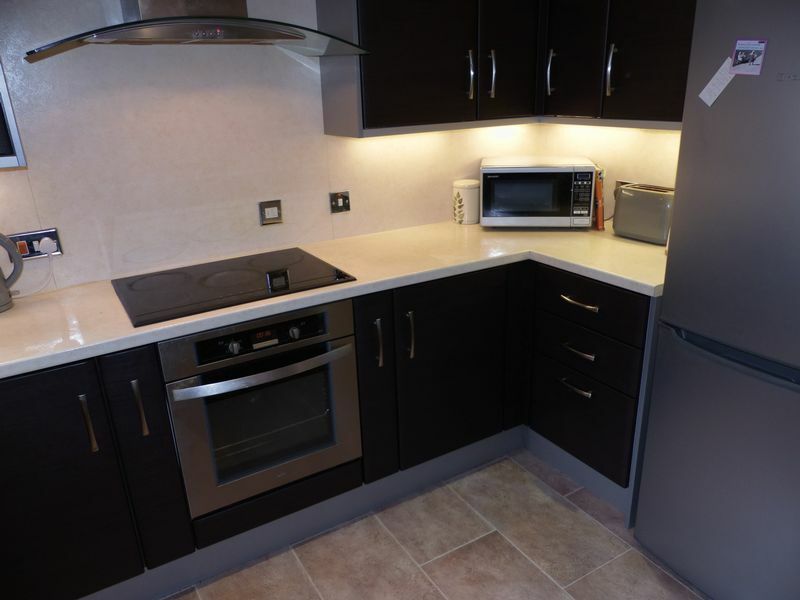 Built in electric oven and uPVC double glazed window over looking the garden. Sun Room from the dining room with cream tile flooring, 2 Velux wooden double glazed windows, uPVC double glazed windows overlooking the garden to the rear. 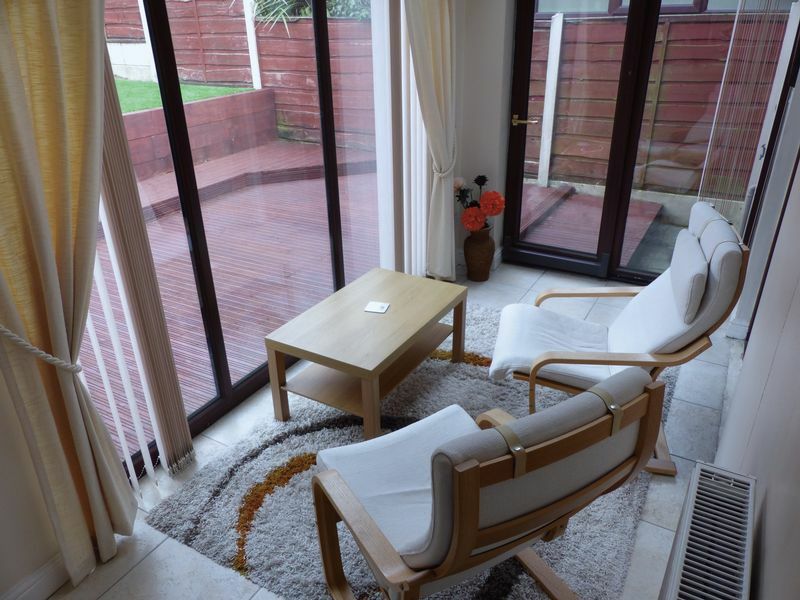 uPVC wood effect double glazed sliding door leading to the decked patio area to the side and radiator. 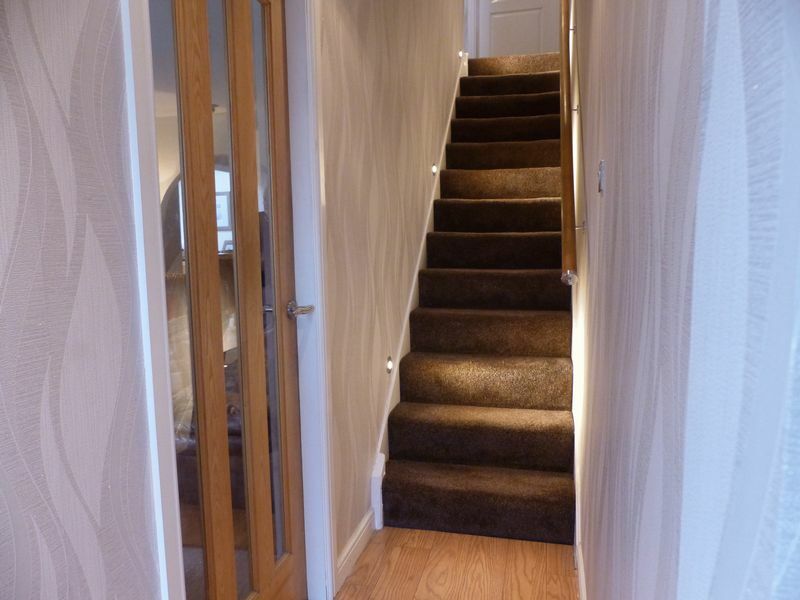 Fitted carpeted flooring with spotlights leading to the first floor landing, radiator plus access to the loft. 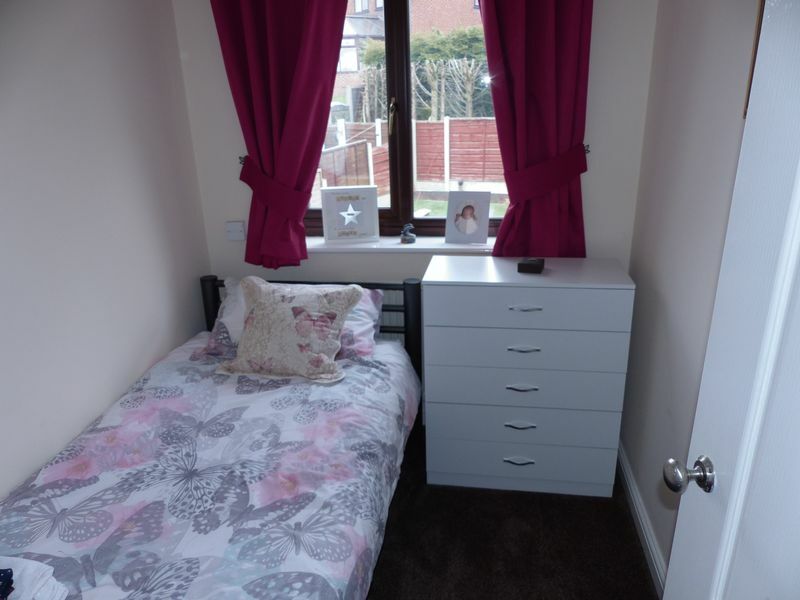 Master bedroom, with a built in storage cupboard and fitted wardrobes, fitted carpeted flooring, radiator, 2 uPVC double glazed windows to the front of the property. 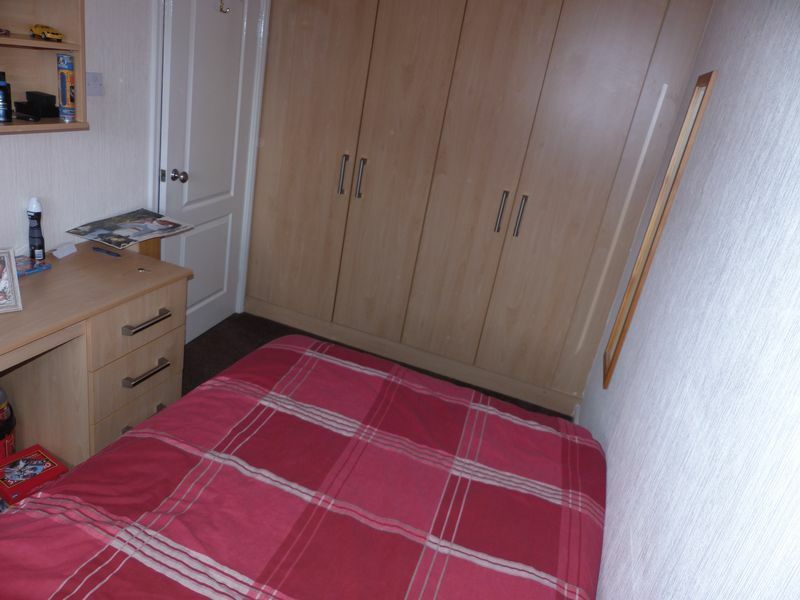 Fitted carpet flooring with built in wardrobes, desk and shelving. uPVC wood effect double glazed windows plus radiator. 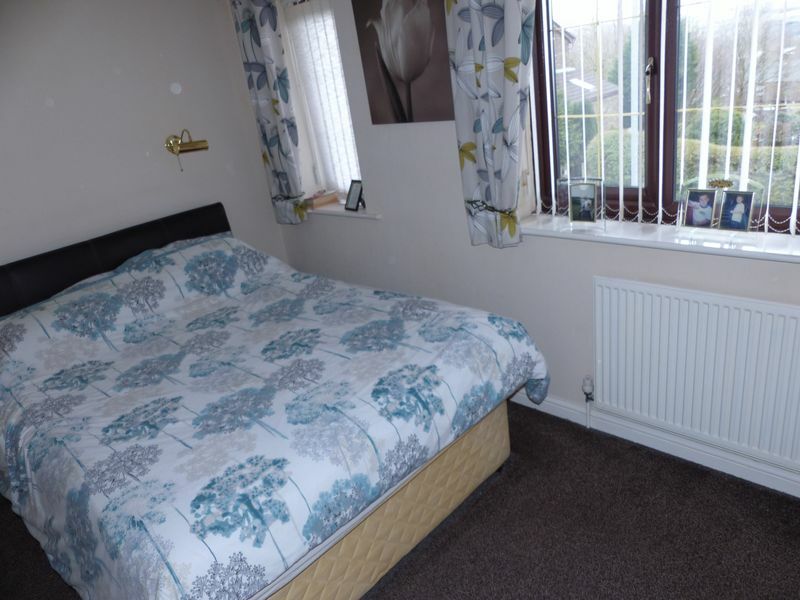 Fitted carpeted flooring, radiator and uPVC double glazed windows. 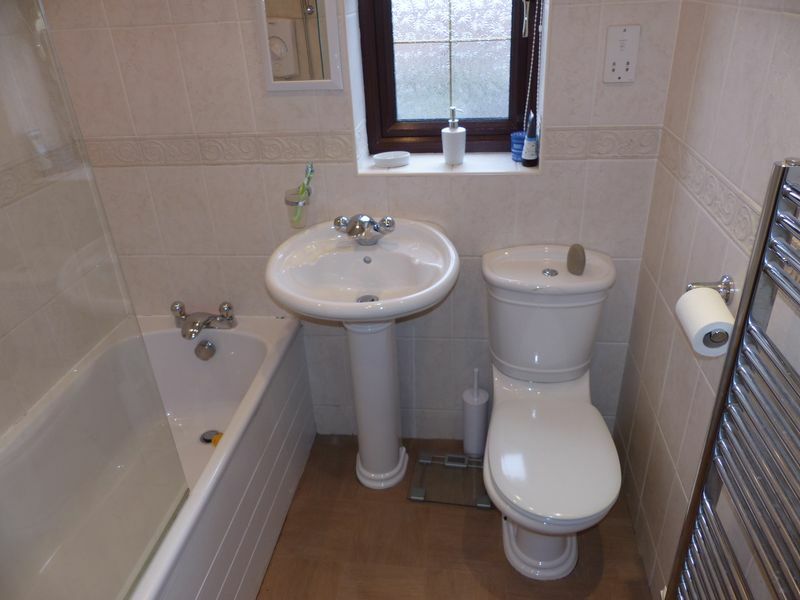 Vinyl flooring, uPVC double glazed leaded window to the side of the property, fully tiled in cream with 3 piece bathroom suite comprising; tiled bath with electric shower over, pedestal wash hand basin and low level flush WC. Both Bath and wash hand basin mixer taps. Extractor and radiator. 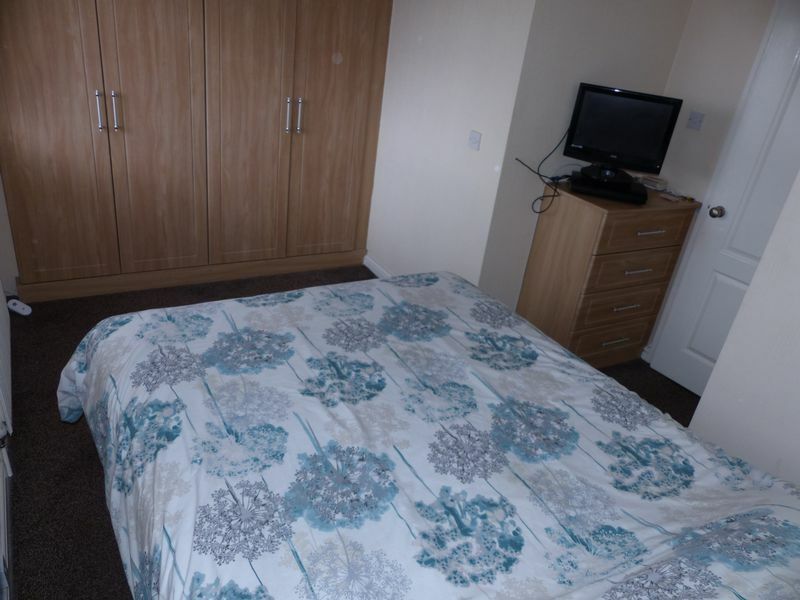 Spacious garage with plenty of potential, boiler, stainless steel sink plus drainer and plumbing for a washing machine. Fitted wall and base unit and part carpeted flooring plus electric up and over door. 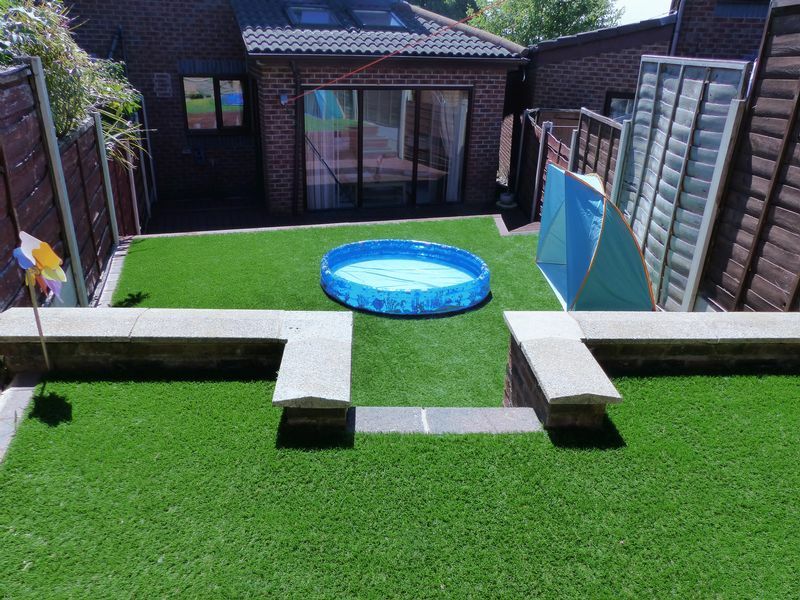 Well Maintained gardens to the front, lawned garden to the side and a tiered garden at the rear ideal for the summer months to relax at the patio area. We have been advised that the property is a leasehold property, to be confirmed by a solicitor.